After choosing burial and a service package, it’s time to think about the different types of burial. We break down your burial options below. In-ground burial is the most traditional burial option. Often, the body is first embalmed because the family wants to hold a visitation where the casket is open. However, embalming is not required. 1. Casket - Holds the body of the deceased. 2. Gravesite - The plot or space where your loved one will be buried. Words of identification such as mother, son, brother, friend, etc. 4. Burial Vault - Used to support the soil above and around the casket. Often they are made out of concrete and lined with plastic. 5. Gravesite Preparation & Maintenance - A plot needs to be dug into the ground and later back-filled. Some landscaping work may also be needed to restore the gravesite’s original appearance. 1. Single Burial Plot: This type of plot accommodates the burial of one individual. 2. Companion Plots: This is the purchase of two burial plots right beside each other. Generally, married couples choose to purchase their burial plots in this manner. 3. Double Depth Plots: This is a type of companion plot. In this scenario individuals are buried one atop of another in a single space. This is another option married couples often choose. Double depth plots are often cheaper than side-by-side plots because generally only one burial vault is needed. 4. 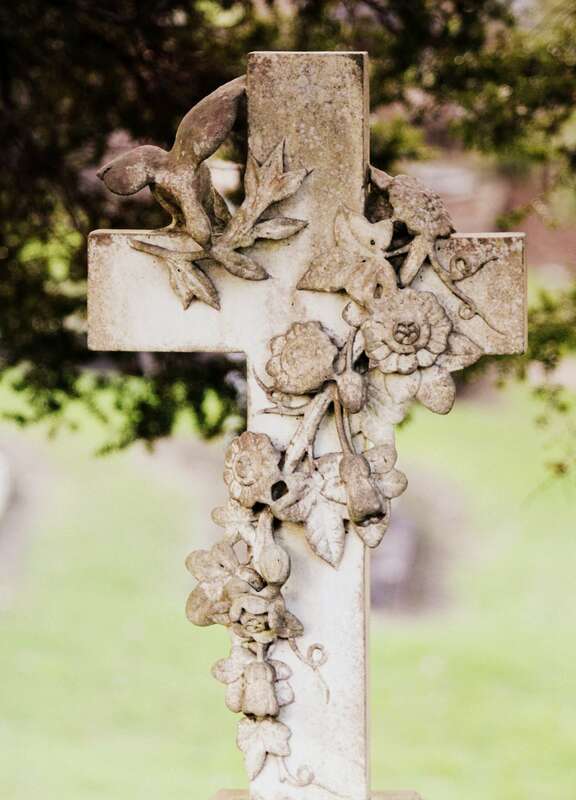 Family Plots: At some cemeteries, a family can purchase a small area of the cemetery that will be dedicated to the burial of all family members. The area could simply be a row of single plots. Green burial which is also referred to as “natural burial” does not use embalming fluid, a casket, or a vault. Alternatively, the remains are placed directly into the ground, allowing them to decompose naturally and leave less impact on the environment. In some cases, the remains are buried in simple burial shroud or a biodegradable casket to protect the body from the earth until natural decomposition occurs. Another distinguishable element of a green burial is the absence of equipment or machinery to dig the burial site, instead the gravesite is dug by hand. The only real hurdle to natural burial is finding cemeteries that allow for the practice. Mausoleum burial is a method associated with more privacy and a sense of prestige. Mausoleum burials see the internment of the deceased within a free-standing building. 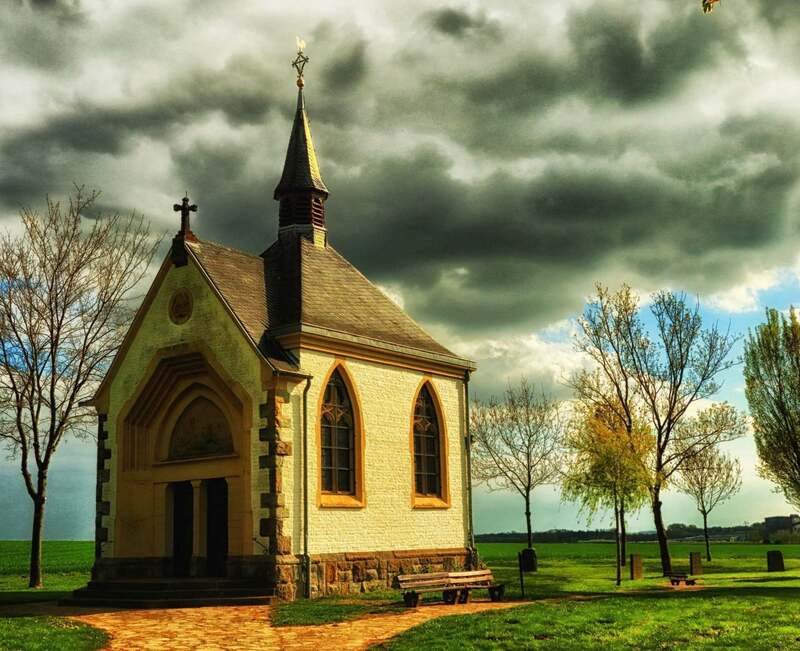 A mausoleum is a building that memorializes deceased individuals and provides a secure enclosure. When choosing to place your loved one in a mausoleum their casket or vault will never come in contact with the earth, as they are within an above-ground structure. This also ensures that the burial site will always remain clean and dry, allowing you to visit your loved one in any weather conditions. A mausoleum can be of two kinds - A community mausoleum or a private mausoleum. The main difference between the two is that a community mausoleum includes multiple deceased individuals that are not necessarily related, whereas a private mausoleum is built by request for a single family. Private mausoleums are typically for larger families that wish to remain together and are much more costly. Essentially a lawn crypt is an underground mausoleum that has no entry. A crypt is a chamber made of concrete and reinforced steel. The biggest benefit of lawn crypts is that they do a great job of protecting the casket while also still allowing for a traditional looking in-ground burial. Grass is planted above the crypt and often times a drainage system exists below. A burial at sea involves the disposal of a deceased corpse into a body of water, typically off of some form of ship. The ceremony may involve burial in a casket or sailcloth. Today, burial at sea is mostly done for Navy personnel, however anyone can technically apply for burial at sea. Going through the application process and receiving the proper permits can be rather difficult. Sea Services is one company that performs burial at sea. Different religions and countries each have their own unique methods of burial at sea and may follow a slightly different process. Some cities allow for a burial to take place on your own private land. Your municipal government or funeral director will let you know if your community permits home burial. Please do not hesitate to contact us so we can discuss the methods of burial further. One of our funeral professionals would be happy to help.